Home » Tear down prison walls » Tear down the walls! At last. 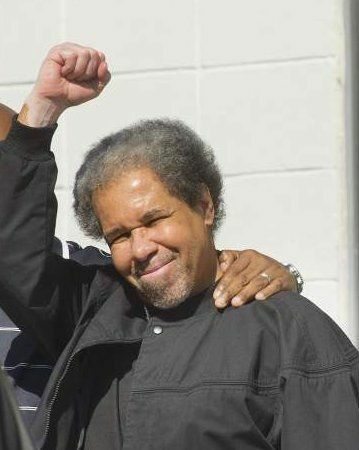 After 43 years and 10 months banished to a 6-by-9-foot cell by Louisiana prison authorities, Albert Woodfox was released – on Feb. 19, his 69th birthday. Woodfox’s bravery, strength and integrity inspired his many supporters worldwide. The Angola 3 — Woodfox, Robert King and Herman Wallace, all African Americans — were exiled to solitary confinement for decades for protesting racial oppression inside the hellhole known as Angola prison. (See article in this week’s WW by Gloria Rubac.) Their case and that of African-American journalist and political prisoner Mumia Abu-Jamal, also isolated for decades, among others, put a global spotlight on U.S. prisons’ use of this heinous practice and other torturous treatment of prisoners..
Woodfox describes the horrors of prolonged isolation, causing some prisoners to be catatonic, scream or self-mutilate At times, he suffered from claustrophia and panic attacks. But Woodfox avidly read newspapers, watched television news and thought about politics. He says prisoners who could not read or write suffered even more, as they had no mental diversions. The U.S. has the highest incarceration rate in the world, with 2.3 million prisoners. Some 80,000 are held in solitary confinement. This racist criminal (in)justice system disproportionately jails African Americans and Latinos/as, who together make up the majority of inmates and are more likely to be banished for years in isolation. Not only must solitary confinement be ended, but the entire rotten prison system needs to be uprooted. 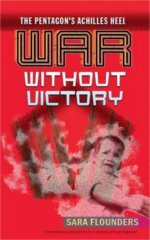 Decades ago the founder of Workers World Party, Sam Marcy, called prisons “concentration camps for the poor.” The poorest and most oppressed people make up the vast majority of those behind bars, victims of both capitalist exploitation of the working class and the added-on national oppression that comes from this country’s racist history of slavery and imperialist expansion. Marcy’s understanding of the state was based on Marxism: the repressive apparatus, including prisons, has been erected to protect capitalist property and ensure that the wealthy can continue to squeeze ever-greater profits out of the labor of the working class. The state’s role is also to suppress struggle and resistance. The greater the gap between rich and poor, the more workers and oppressed people end up in prison. WWP set up the Prisoners Solidarity Committee some 45 years ago in solidarity with prisoners rising up against their horrific conditions. During the heroic Attica uprising in 1971, which New York officials brutally repressed, prisoners invited the PSC to come to the prison and tell their story to the world. This newspaper has supported many prisoners’ struggles and rebellions in print and on picket lines throughout our history. This is a cornerstone of our political program. WW has backed the Angola 3, Mumia Abu-Jamal, Native prisoner Leonard Peltier, the Move 9, the Cuban 5, Oscar López Rivera, Lynne Stewart, Russell Maroon Shoatz, and hundreds of other political prisoners over the years. WW hailed the courageous hunger strikers in California’s correctional facilities. Hundreds of prisoners at Pelican Bay State Prison led the first action in July 2011. They sought humane treatment and an end to solitary confinement and other “intense torture.” Quickly, more than 6,000 inmates at 11 prisons joined them Despite repressive policies meant to stop just such resistance and collective action, the will to resist prevailed. Two summers later, 30,000 prisoners in isolation and general population throughout the state’s penal system joined two hunger strikes. WW’s slogan “Tear down the walls!” was the right one during the Attica rebellion, and it is the right slogan now — with “the new Jim Crow” mass incarceration, warehousing of the jobless, provision of cheap/slave labor for corporations and continuing abuse of prisoners. We join Albert Woodfox’s call to “End solitary confinement in U.S. prisons!” and say: The prisons are the crime! Tear down the walls!